Or view our long case, mantel and wall clocks by visiting our online shop. Dials Antique Clocks of Lymington have a range of antique four-glass clocks in the Lymington showroom. 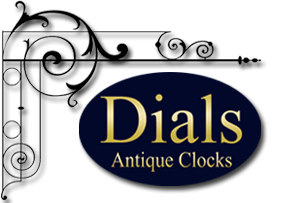 All four glass clocks come with a twelve month guarantee and can be delivered Worldwide. 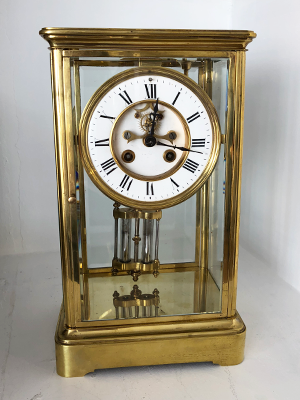 Four glass clocks, these ever popular brass mantel clocks are visually very appealing with their exposed movements and decorative pendulums and work well in traditional and contemporary interiors. Please hover over any four-glass clocks to enlarge photographs. 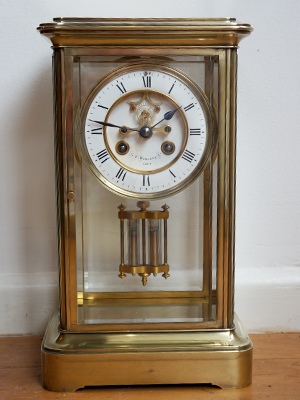 8 day, French 4 glass clock, with open escapment and mercury compensating pendulum. Striking on a gong. 8 day French four glass clock by Samuel Marti of Paris. Striking on a bell. 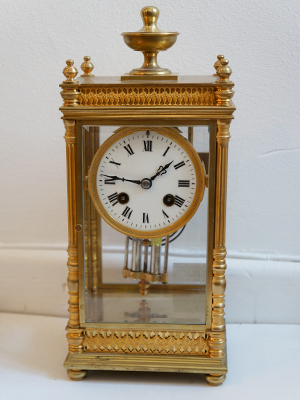 French 4 glass clock with mercury compensating pendulum and visible escapement. Strikes on a bell. Lovely looking French 8 day four glass clock by Wehlen and Co of Paris. 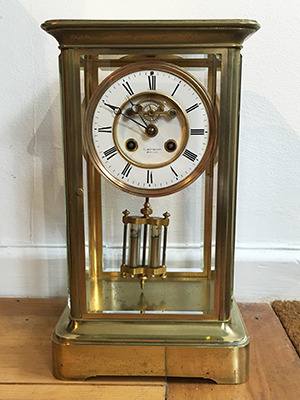 Brass case, mercury compensating pendulum, bell striking, open escapement. French 8 day four glass clock with mercury compensating pendulum. Striking on a gong. 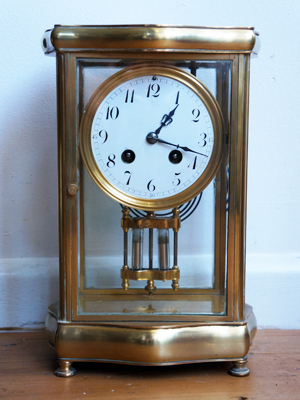 8 day brass cased four glass clock with mercury compensating pendulum, striking om a gong. 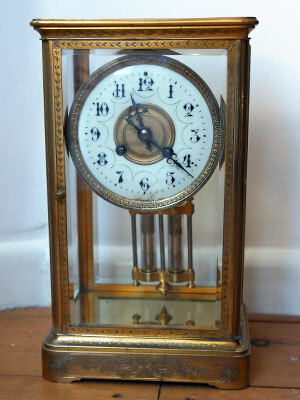 Lovely quality 8 day French four glass clock with brass case and subtly finished onyx top and base sections. 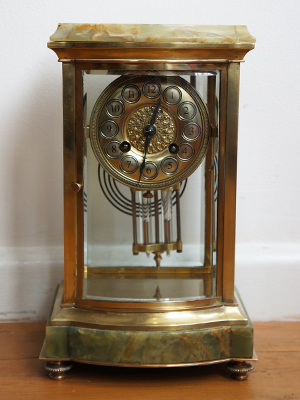 Lovely curved front with bevelled glass, mercury compensating pendulum, striking on a gong. 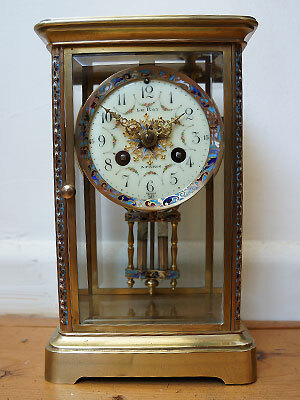 Lovely small size 8 day French four glass clock with cloisonné embellishments. Gong strike with superb dial signed Roy of Paris. Mercury compensating pendulum with matching cloisonné embellishments.